Looking for a quite place, serene, peaceful and the sounds of nature? I have it waiting for you. You'll love this charming home with a big and great backyard under roof, plenty of space for your weekends family reunion and a barbecue. 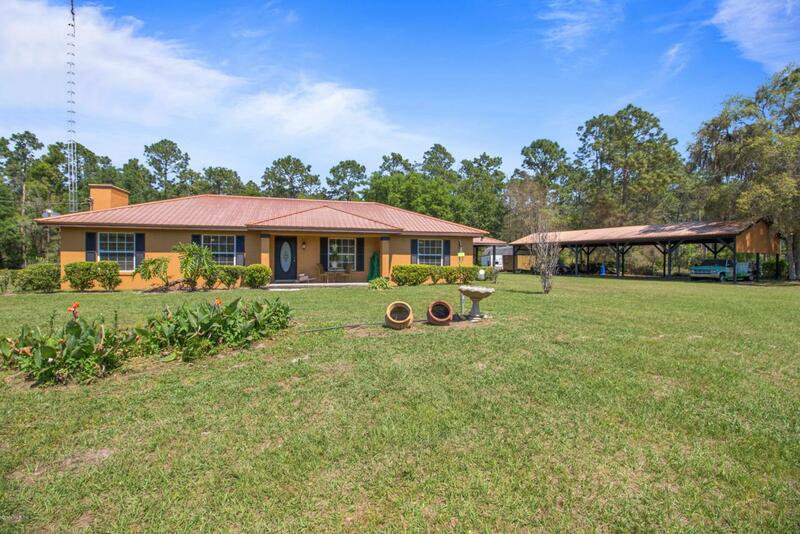 This 3 bedroom 2 bath will give you 1598 sqft of space, a cozy florida room to sit by the wood fireplace with your favorite book. On summer time you'll never be hot the two Ac units will keep you cool. Situated in a 2.27 Ac your horses, goats, chickens are welcome. Plenty of space to park your cars under roof or fix your vintage cars. Where else you will find it?